Ah, such promise. 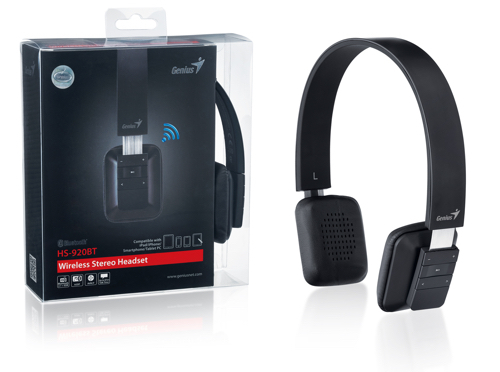 I like the idea of the Genius HS-920BT Bluetooth Headset. It is available in a variety of colors (black, white, blue, pink, yellow) and can be used for music or phone calls, and it works with any Bluetooth device. The ear pieces are small in form, and fit very comfortably on your head and ears. No pinching, and no heat discomfort after extended wear. I should really like these! And yet, no. Audio quality, to put it as nicely as I can, is awful. Muddy lows, almost no highs, and terrible midrange. Music sounds like you are listening to it from the other side of a pillow. Even trying to compensate via the build-in EQ settings on my iPhone didn’t help this headset sound any better. Just really awful audio quality. The features include long-lasting Lithium battery, built-in microphone, plus pause, play, forward, back, and audio controls from the right side of the headphone. Even that works terribly. 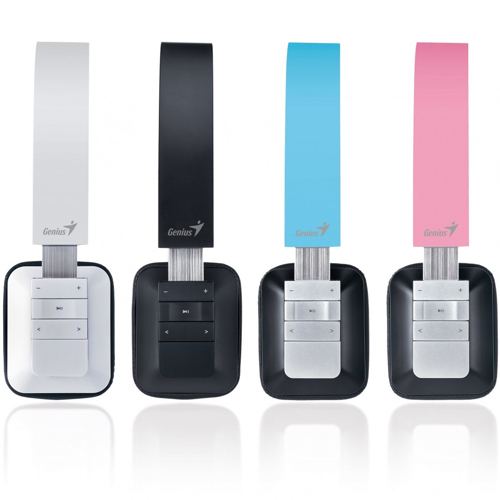 When you adjust the volume, the Genius HS-920BT Bluetooth Headset actually beeps at every step. “Beep Beep Beep,” right over the music. Just terrible. My recommendation is to avoid this headset. You can buy less expensive and better sounding headsets. This unit is a complete failure.